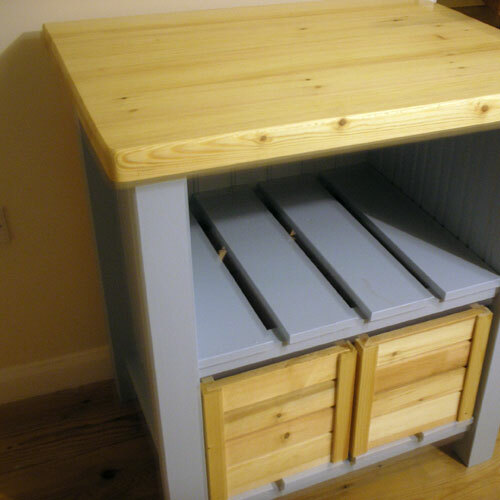 Description: Charming versatile storage unit with crates and slatted shelving. Crates can be fitted in in either compartment. 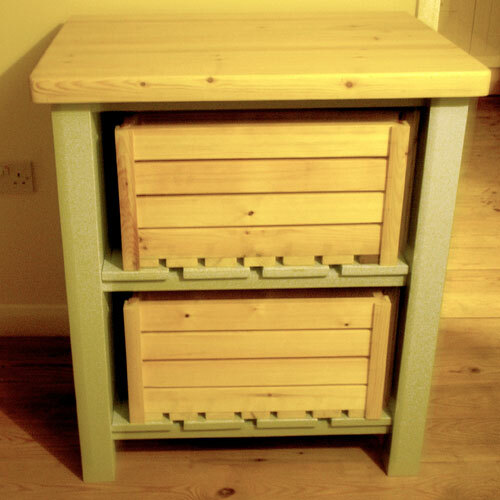 Ideal for storing vegetables and cooking pots! 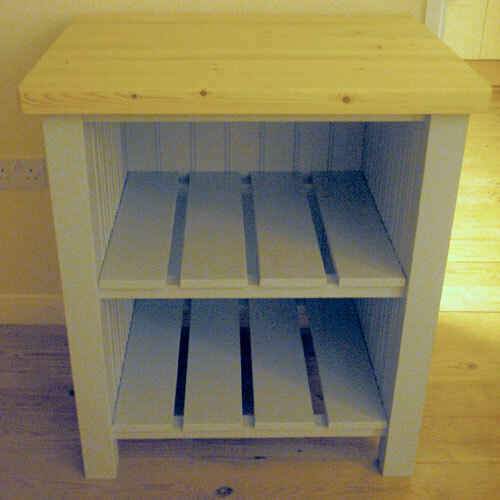 Complete with 4cm thick Pine worktop. Colour shown: Farrow and Ball, Parma Gray. Worktop treated with Danish Oil. Crates remain natural.